One of the challenges in the UAE is finding good hills to train on. They do exist, but you may need to hunt for them a little harder than if you lived in the Swiss Alps. Owner of Wolfi’s Bike Shop Dubai, Wolfgang Hohmann, takes us on the Jebel Hafeet Climb. Starting at the Green Mubazzarah Park at the base of the road, the Jebel Hafeet mountain road extends for 11.7 km up the mountain, rising 1,219 m (4,000 ft). 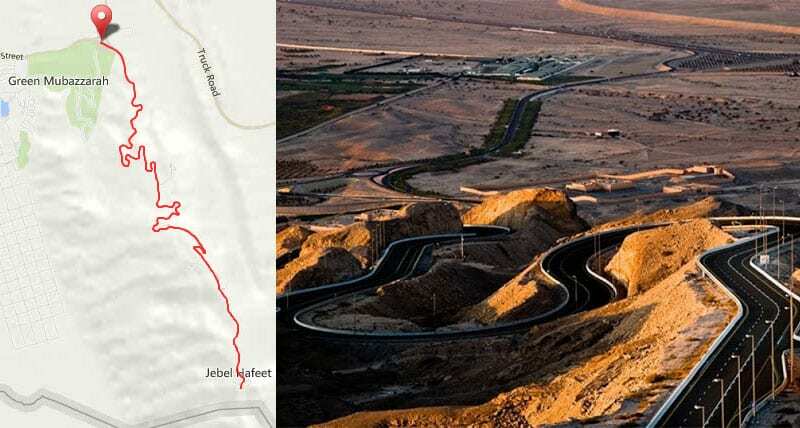 This climb was ridden by the Pro Peloton as part of the inaugraul Abu Dhabi Tour in 2015 in the classic finish that saw Wout Poels crash at the final corner and Esteban Chaves take the win (video below). It was also featured by GCN as one of the ‘epic climbs and epic descents’ in the UAE. With three lanes and 60 corners, this immaculate road was called the greatest driving road in the world by Edmunds.com. 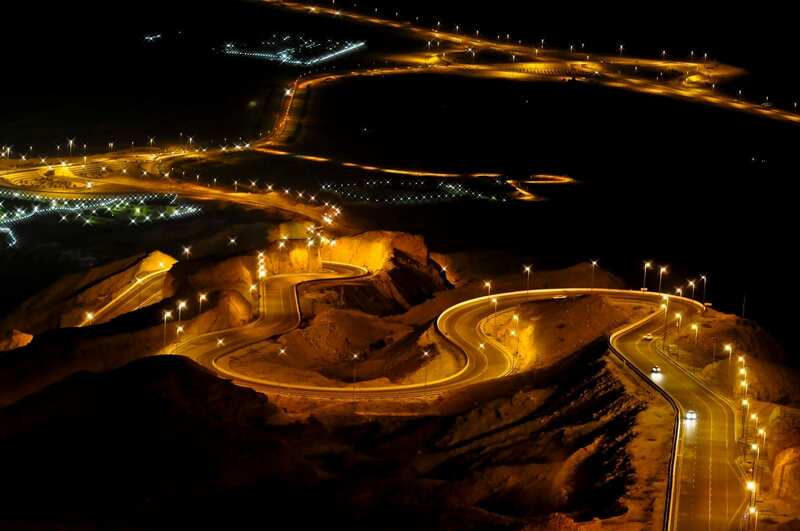 The road scales the mountain and ends at a parking lot with an amazing view of Al Ain spread across the desert sands. There is a beautiful hotel, and a private palace at the top of the mountain. The Green Mubazzarah itself is worth a visit, it’s an excellent place to meet family members after a ride. 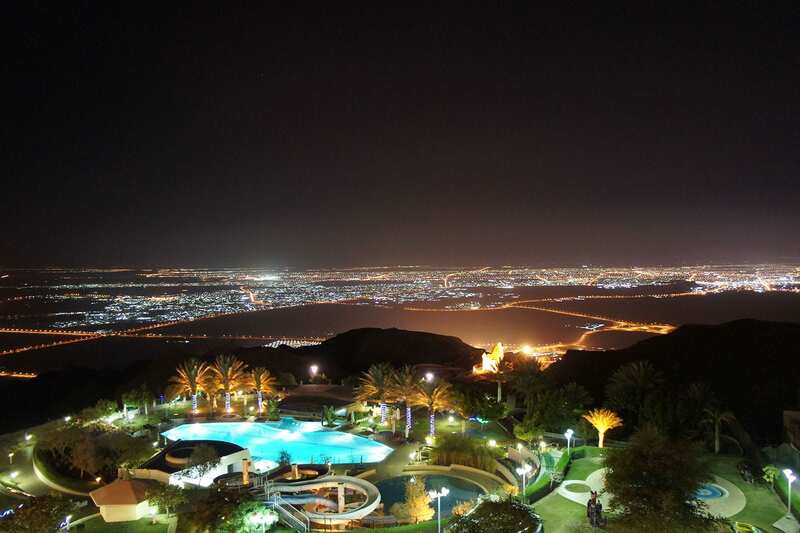 This green expanse at the foot of Jebel Hafeet is a perfect spot for picnics and family outings and when the weather’s good, the place is thronged with families out to enjoy the sun. A popular sight is adventurists who aim to trek up the mountain and pitch tents at the base. There is also a mini train for children and thermal baths which can be enjoyed by the general public. Green Mubazzarah also has some fantastic chalets to rent if you want to challenge the mountain more than once, or if you plan an early start to beat the heat! Wolfi’s Bike Shop in the UAE is named after its owner Wolfgang Hohmann, better known as Wolfi. Wolfi and his passion for cycling has taken him from Wolfi’s Bike Shop Germany, which consisted mainly of mountain biking, to Dubai. His drive to grow cycling in all of its forms is paralleled by the city he has chosen to call home in the Middle East. The first Wolfi’s Bike Shop is located in Heitersheim, close to Freiburg in Breisgau, in the beautiful Black Forest area of Southwest Germany. Wolfi’s Bike Shop Heitersheim has a strong team of nine dedicated staff and is managed by Detlef Hoelig, who lives and breathes cycling, just like everyone at WBS Dubai. Wolfi oversees the Heitersheim shop remotely but Dubai is his passion and it is here where you’ll find him.